Yes we can do the filtering in Angular 2 as well, instead of filter it is pipe concept. Pipe will take the data and convert into desired output. There are many built in pipes like date, uppercase etc. Let us check here how we can create a custom pipes. Above JSON contains the list of employees and their experience. I am going to filter this data in such a way that, if the person has more than 10 years experience it should display over qualified and less than 5 as average and the remains as it is. 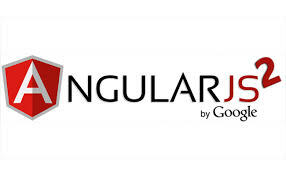 Let us check first how we can achieve in Angular one. It is pretty straight forwards and you can see the desired output. Now let us see how it is in angular 2. Here we will be using angular 2 + typescript. Now let us create a sample pipe. We are done with the pipe, here Quality is the pipe name. If you add the pipe directly in view it won't work as we didn't import dependencies in our component. And add pipe name inside our decorator. Run "npm start" you can see the output like below.